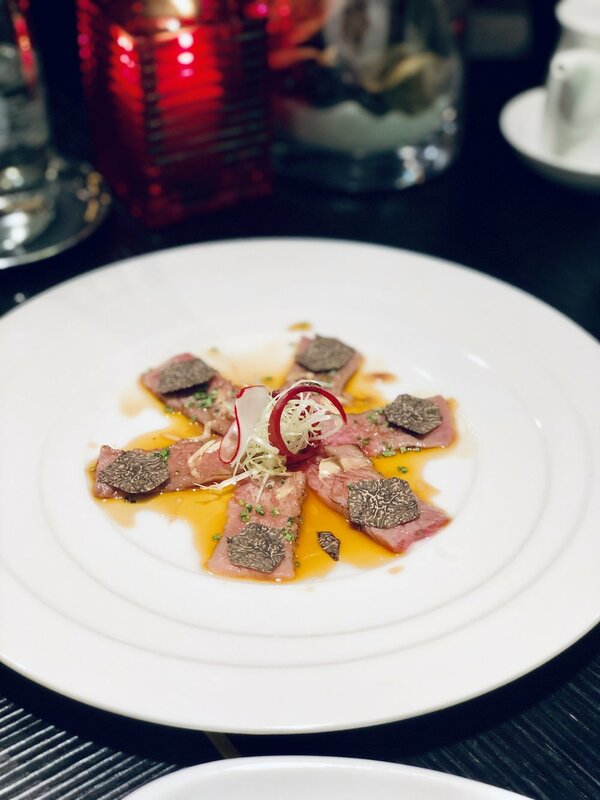 Situated next to the main entrance, this restaurant offers a nice contrast to the French cuisine which is available nearly everywhere in the surrounding. 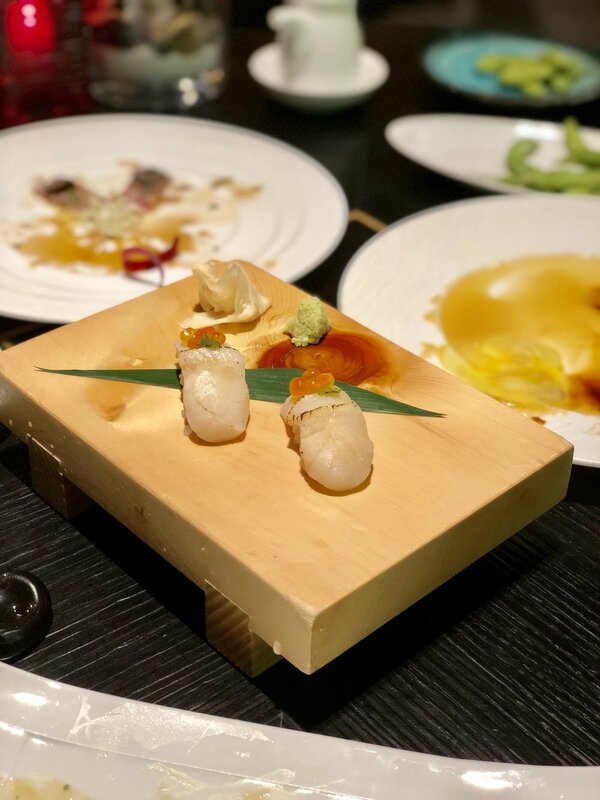 An upscale Japanese dining venue, however, is really rare and I was therefore extra excited about the idea to discover a fusion of best French and Japanese dishes. 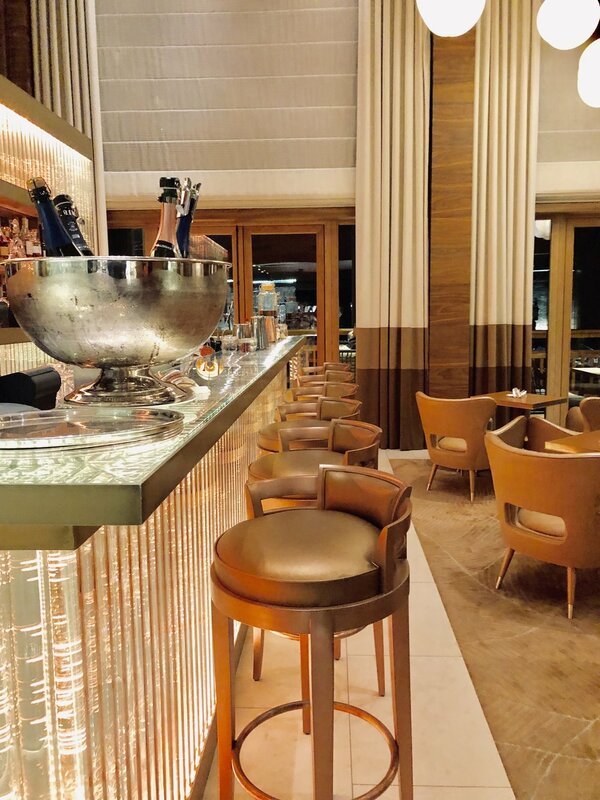 I arrived there at around 8 pm and was friendly welcomed by the F&B Manager who took the best care of me the whole evening at the restaurant. He suggested an amazing Japanese inspired drink with Pisco (which I totally began to love since my stay in Chile earlier in 2018) and it was exactly what I was looking for. 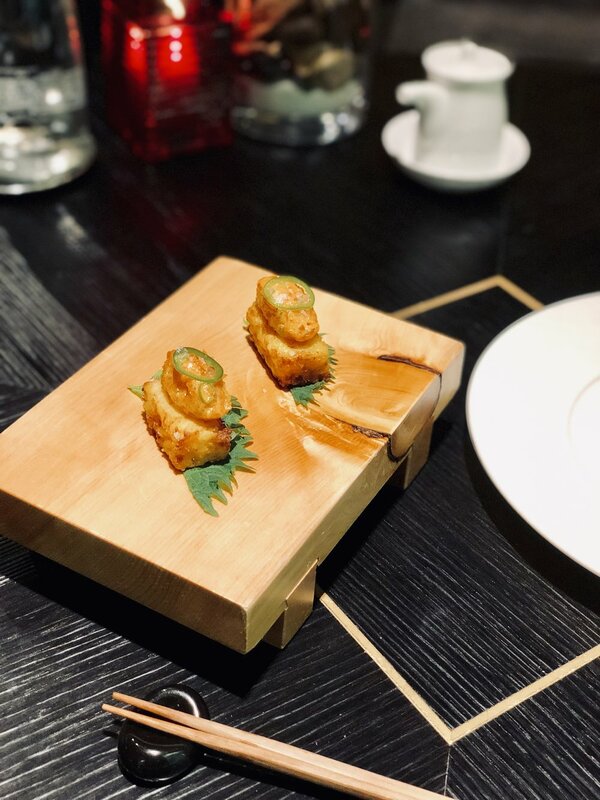 As starters I had sea bass sashimi with dry miso and yuzu as well as salmon tataki with miso and mustard sauce – it was incredible how the sweet sauce matched the salmon. Afterward I was served two Scallops & Ikura Nigiri which was totally amazing, however since it wasn’t fancy enough for them, they added an interpretation on Rossini – slices of wagyu beef with cubes of foie gras and a slice of Perigord truffle – needless to say how amazing this combination of my three favorite dishes was! 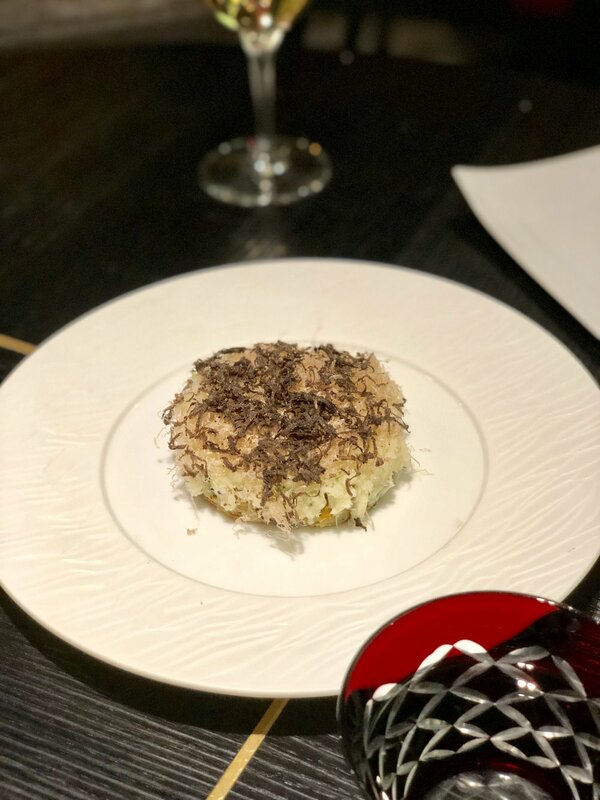 When I thought it couldn't get any better, the friendly manager brought over their signature Truffle Okonomiyaki which basically was shaved truffle with rice in a creamy constellation – absolutely fabulous. An Aji Amarillo Arancini with spicy tuna tartare made up my pre-main course followed by the octopus with celeriac puree and blue cheese from Savoie (even though I do not like blue cheese at all, I didn’t even realize the cheese in the dish) as well as coriander rice with shrimps to round off the tasting menu. 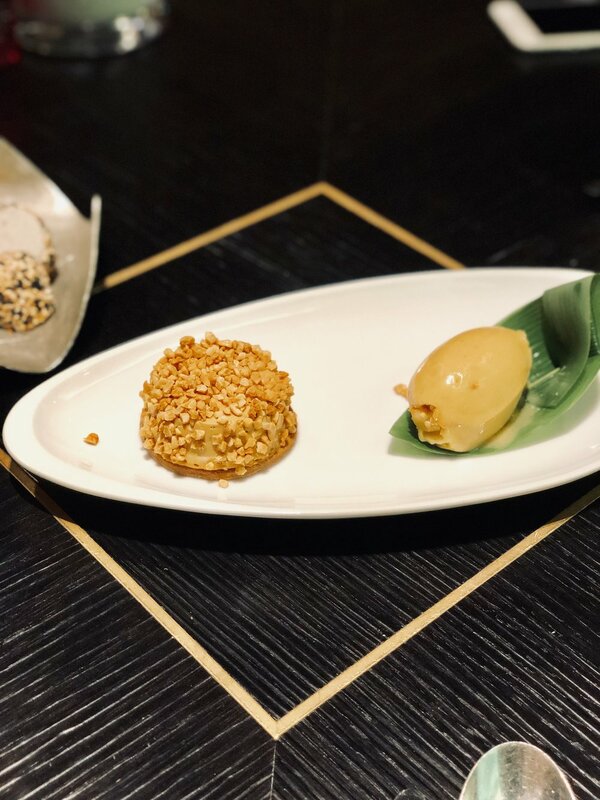 Even though I tried to kindly decline a dessert, I am actually happy the staff brought their amazingly good banana ice cream with kind of hazelnut sorbet. And last but not least what Japanese restaurant would let you go without trying at least their Mochi. 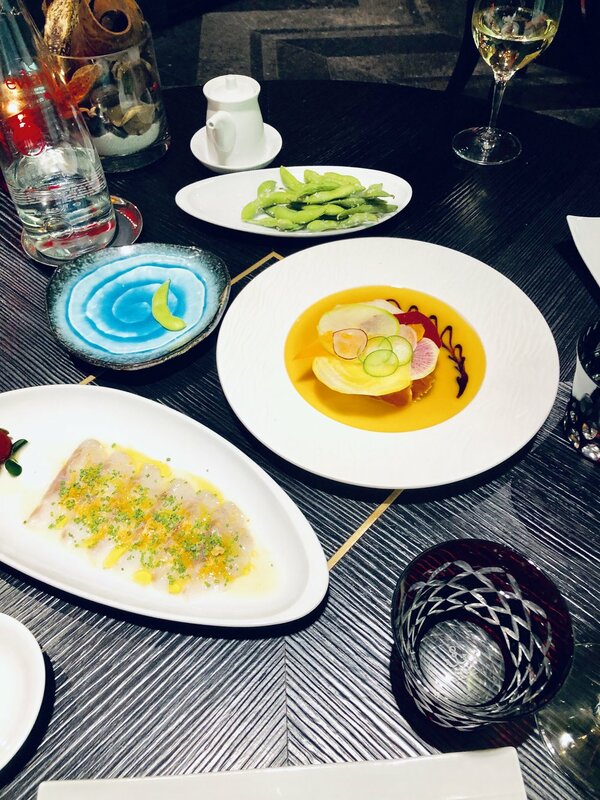 I have to say, Kaito Megeve really came up to the reputation and is a great place to have a sophisticated dinner when in the area of Megeve. 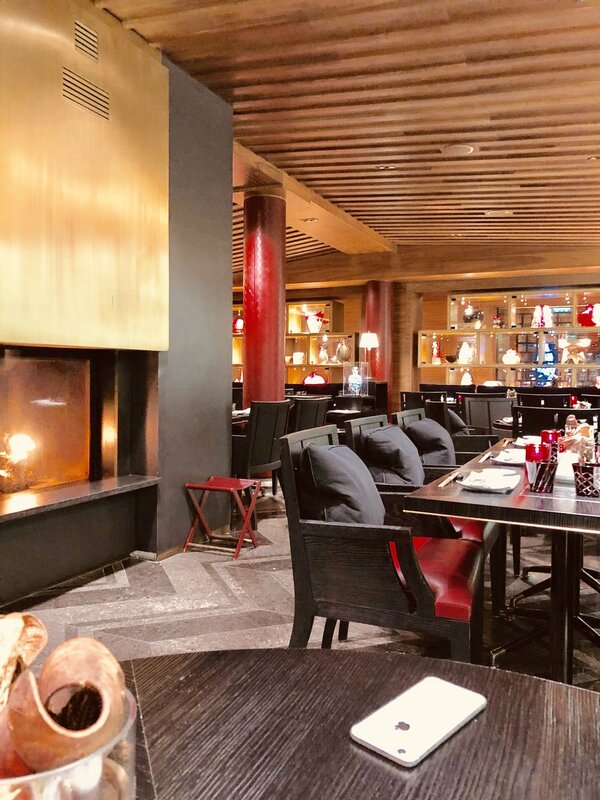 I particularly loved the fireplace which they even used while the snow was falling outside just behind the sushi bar. 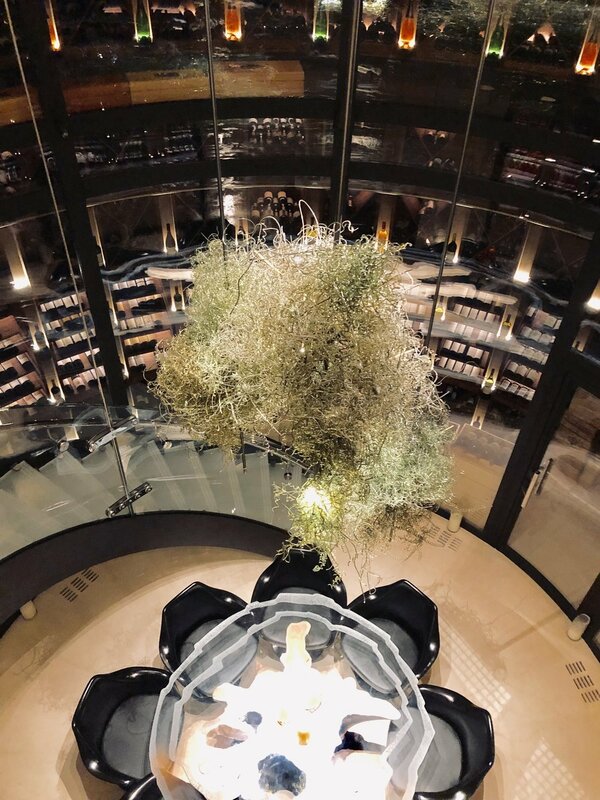 I was dining at Kaito Restaurant while staying at the Four Seasons Hotel Megeve, however all above written expresses my own opinion and has not been influenced.